We are ILLARI S.A.C., a fishing company dedicated to the capture, processing and commercialization of hydrobiological products. 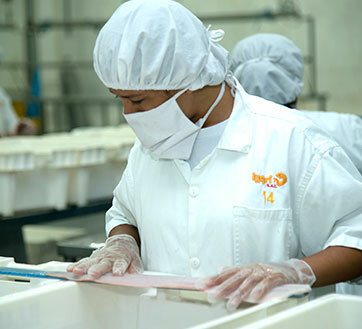 We have a plant located in Talara (1250 km north of Lima), in front of the fishing area and only 60-80 Mt from the dock, which guarantees the quality and freshness of the products we receive. Quality is crucial for us, that is why all our processes are carried out under the HACCP system. We have the sanitary authorization PTH-019-10-BR-SANIPES and PTH-028-10-SANIPES for the export of hydrobiological products to the market in Brazil and the rest of the world respectively. We also have registration No. PO91-TAL-ILLA for export to the European Economic Community. We export to more than 30 countries, where our products arrive guaranteeing the quality and freshness that characterizes us.